Barkerville exists to inspire today through the courage of the past. Therefore, we promise a welcoming experience to reflect, connect and grow. In everything we do, we are connected by discovery, and as a result are described as adventurous, authentic, inclusive and dynamic. The Indigenous Officer is responsible for communication and liaison with indigenous communities, primarily L’hatako Dene, to consult and develop indigenous programming and interpretation at Barkerville Historic Town and Park. 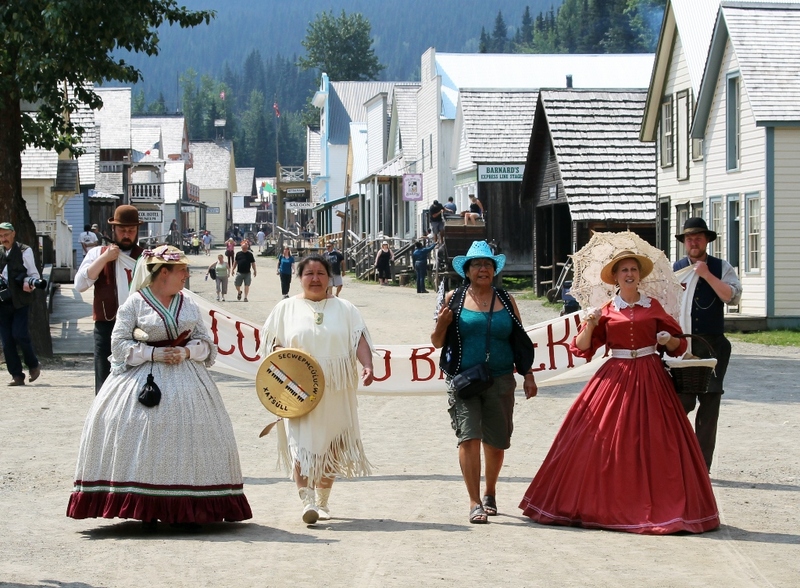 This role is key to supporting Barkerville and its partners in the planning of future activities and projects through cultural understanding, relationship building, and strategic planning. The Indigenous Liaison also coordinates all aspects of collaborative work with Indigenous communities to increase collective understanding of Indigenous perspectives; ensure that an Indigenous lens is represented within the planning of indigenous educational programming; and generate feedback and input that can contribute to development of sustainable, revenue generating programming along indigenous themes. • Performs all operational duties based upon industry standards and guided by the Standards and Guidelines for the Conservation of Historic Places in Canada to ensure the continued protection and conservation of Barkerville Historic Town. • Develop and maintain open communication and effective relations with multiple stakeholders. • Performs all operational duties based upon industry standards and guided by the occupation health and safety regulations. • Good interpersonal skills, reliable, punctual, organized, demonstrates initiative, self-motivation, planning and organizational skills, effective communicator. Forward your application via email to dleroy@barkerville.ca by closing at 12:00 noon, May 28th, 2018.